Meat Mojo – Excellent for grilling. Great on any meat, poultry, fish or wild game!
. . . and Everything Else! The perfect seasoning for any type of meat. Starting in 2002, Bryan Hawes (more about him below) sought to create a perfectly balanced steak and to do so consistently. For 13 years he worked on developing the perfect seasoning for his steaks. He added a little more of this and subtracted a bit of that until he produced Meat Mojo: the perfect seasoning for any type of meat . . . or egg . . . or veggie. It’s excellent on just about anything and Meat Mojo is available online, in stores and at Meat Mojo Steak Night locations. 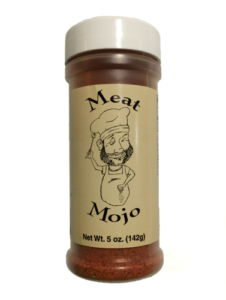 Meat Mojo is also available for purchase in bulk! 50 pounds for $375 or 100 pounds for $700. Email Bryan for details. You can buy Meat Mojo online here. 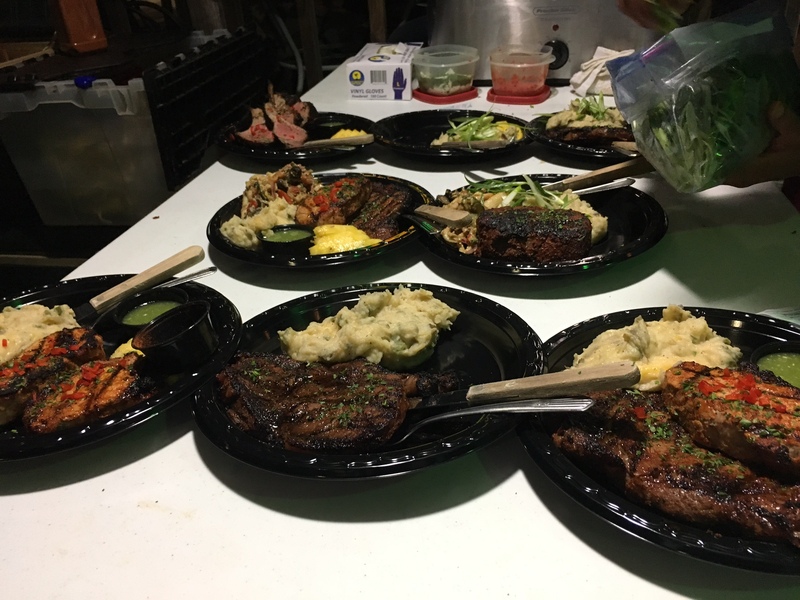 At one of the four Meat Mojo Steak Nights in Houston where, live and in person, Bryan grills up perfect rib eyes, pork chops, lamb ribs and more. (He’ll even take a picture with you.) See the schedule and locations here. At any of three Houston-area retail locations. See the list just to the right (or just below if you’re on a phone). 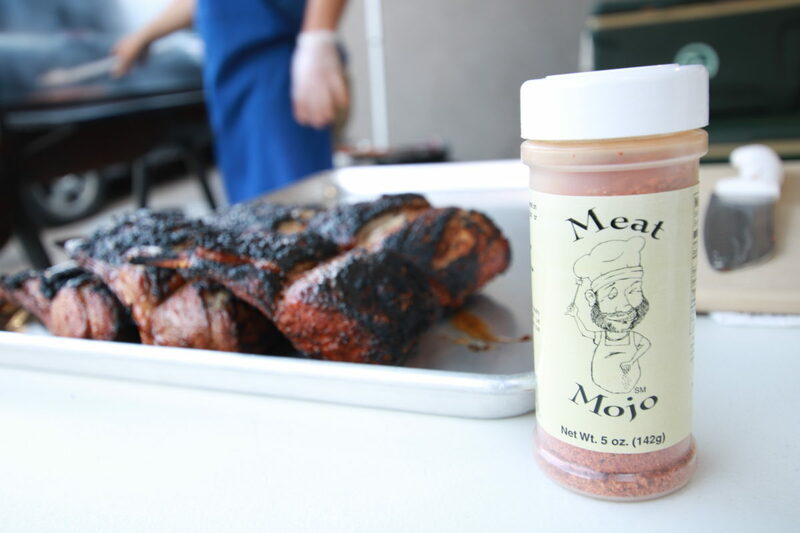 Meat Mojo is also available for purchase IN BULK: 50 pounds for $375 or 100 pounds for $700. Shipping’s extra and there will probably be taxes. Dammit. For bulk purchase, please Email Bryan for details. He’ll respond promptly and is full of customer service. 19075 N. Fwy Feeder Rd. Meat Mojo is JUST FINE on its own but for best results grilling meat or poultry, use this marinade! Dip meat or poultry into marinade and immediately remove. Place in a Ziplock bag or on a plate and let sit at least 1 hour before cooking. Once you remove it from the marinade it can sit in a sealed container for the life of the meat without getting any stronger marinade flavor. 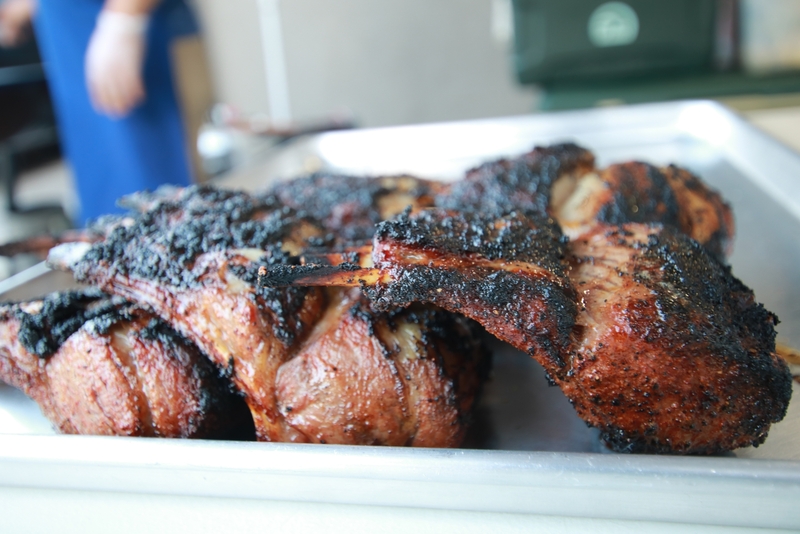 Just before grilling, evenly sprinkle Meat Mojo on both or all sides of meat or poultry. Apply generously to all kinds of steaks prior to grilling. Lightly coat your favorite fish, whether grilling or baking. Put on ribs right before cooking. Add as a seasoning to pasta before serving. Throw some on your fried or scrambled eggs. None of your casseroles will complain. Deviled eggs! For both flavor and color. Salt, pepper . 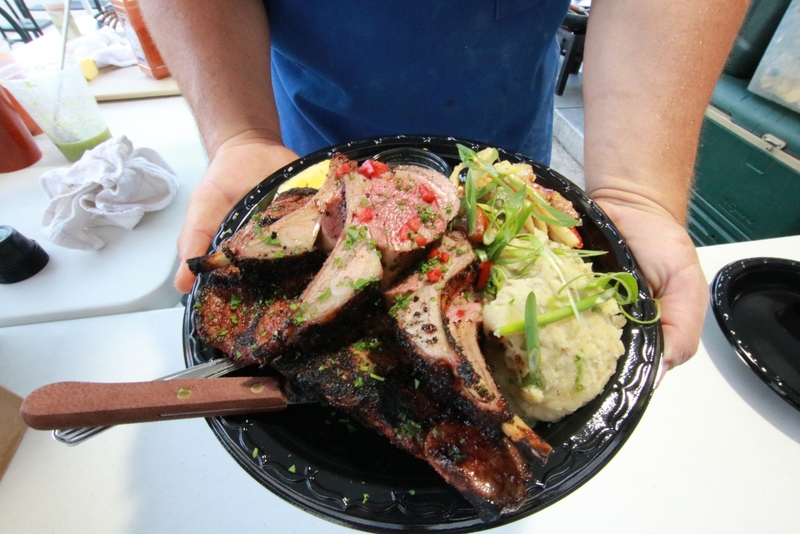 . . Meat Mojo’s a welcome guest at the dinner table. Baked whole chicken? Mojo in and out. Knock your fried chicken batter up a few notches with Meat Mojo. Hamburgers, hamburgers, hamburgers. And cheeseburgers. “Pork tenderloin MOJO. I thought I was out but luckily I had a back-up supply! Salt, paprika, garlic, onion, spices, rice flour, citric acid, lemon powder [sugar, concentrated lemon oil, citral and silicon dioxide (free flow agent)] and silicon dioxide (free flow agent). Meat Mojo is proudly, professionally produced and packaged at Bolner’s Fiesta spice emporium in San Antonio. 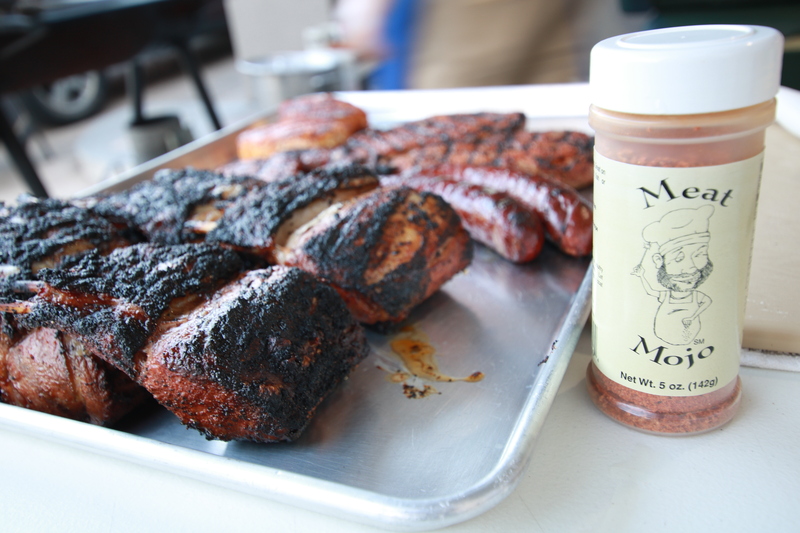 Bryan Hawes, creator of Meat Mojo Seasoning grew up in Southern Louisiana. When he wasn’t hunting and fishing he was in the kitchen with his grandmother assisting with the cooking . . . and the eating. After pursuing an education in culinary arts he trained as a butcher for 5 years. 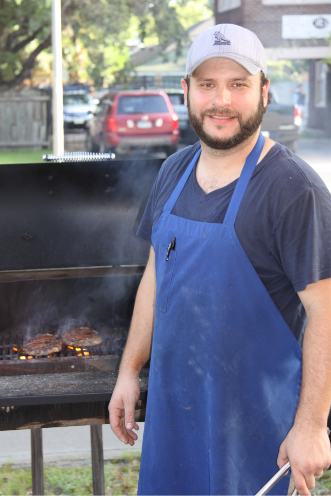 He’s a master on the grill and he prides himself in the pursuit of excellence. He began doing steak nights in Houston in 2002. He sought to create a perfectly balanced steak and to do so consistently. For 13 years he worked on developing the perfect seasoning for his steaks. He added a little more of this and subtracted a bit of that until he produced Meat Mojo: the perfect seasoning for any type of meat . . . or egg . . . or veggie. It’s excellent on just about anything. 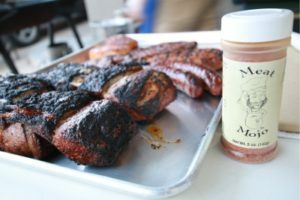 Meat Mojo is available online and in stores (see above). We give you the ultimate Southern guarantee that you’ll love it! And click here for An Expert’s Guide to Cooking Steak! Special thanks to Ruben Escobar for most of the fantastic photos on our site!